Weird but good. When I first read this recipe, I thought, Pickles? That’s sounds yucky. ‘Kitchen therapy’ and weird were just what was needed one morning when I had emotional child-rearing issues weighing on my mind. Items marked with a * are my additions to the original recipe. In a soup pot, combine water, remaining butter and chopped vegetables. Over medium heat, simmer till tender. Add grated dill pickles, bring to boil & remove from heat. Meat based liquids with thickening agents. Start with simple pan sauces or gravy and extend it into soups and stews. Melt butter in pan. Stir in flour and cook until browned, stirring continuously. Little by little, add beef stock. Stir until it boils and thickens, continue to cool three more minutes. Blend, whisk or stir all ingredients together till smooth. Store in refrigerator, but let warm to room temperature before using. Can be used a dipping sauce, over noodles, as a salad dressing or in spring rolls. Kneaded Butter (Beurre Manie) – equal parts butter and flour – kneaded till smooth and rolled into teaspoon sized balls (can be frozen for storage). Drop a ball or two into sauce when needed. Add oil to pan + three unpopped popcorn kernels. Turn heat to medium. Once the three kernels have popped, add all other ingredients to the pan. Slide the pan around to mix sugar with the oil. Continue sliding the pan until finished. Remove from heat right before the peak the popping. In a mixing bowl, blend together wet ingredients; eggs, sugar, and pineapple juice. Beat for 2 minutes. Add dry ingredients and mix till smooth. In a sauce pan on low, melt butter then add the brown sugar – stir constantly. Remove heat once sugar is melted. *Watch this step closely so that the sugar doesn’t burn. Build your mini cakes from the bottom up. 1st add a tablespoon of the butter / sugar mixture to each muffin tin. Next, place cherry in the middle, top this with the pineapple then add enough batter to fill the muffin up to the half-way mark. 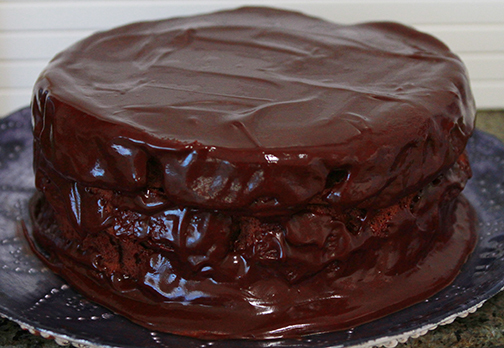 Bake for 30-35 minutes, until a wooden pick in the center of cakes comes out clean. 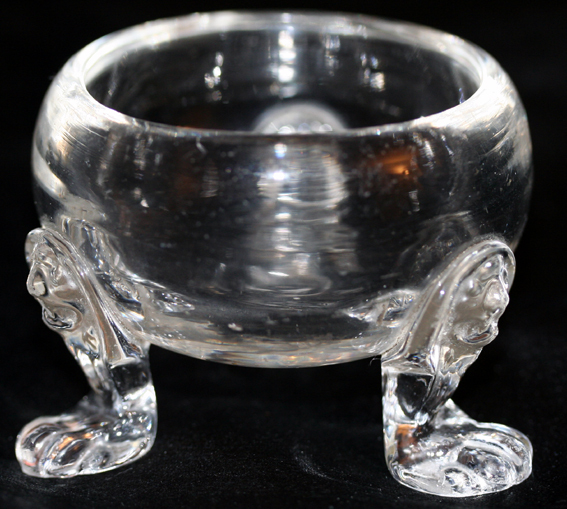 Sarah picked up the salt dish. As she held the small, decorative container in the palm of her hand, her thoughts drifted to another time. Aunt Rose gave this to me when I was twelve. She laughed so hard when I told her how I used to make fairy stew in it with the long-handled glass spoon. The fine lines at the edges of Sarah’s eyes deepened when she smiled. Sarah gathered a small mound of the crystals between her forefinger and thumb. She gently rubbed them together over a pile of four so that that the Celtic Sea Salt would distribute evenly. In Aunt Rose’s, day the salt in this container would have been Morton’s. 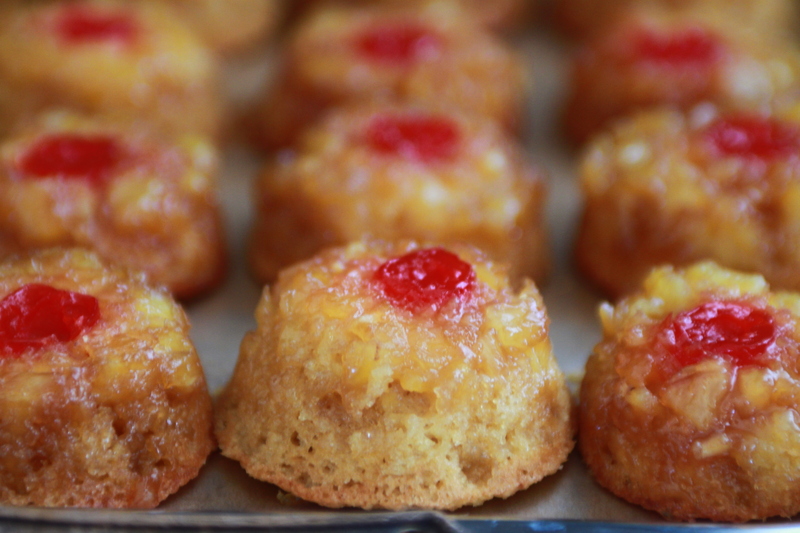 These Mini Pineapple Upside Down Cakes are going to be so cute! she thought as she hefted the bowl into the crook of her arm. Her hand and arm began to move in circular motions. The happy family recollections faded. A small frown appeared b as Sarah thought about why she was making the cakes. Sarah didn’t consider herself an overly emotional person. She was proud of the fact that she was known for being ‘on point,’ extremely focused, dependable and very hard working. When people around her were suffering, her standard response was a pat on the back, and a gruff, “Just keep going, it will pass,” type of comment. But this time was different. Sarah had a hard time grappling with the reason for the gathering that she and her family were about to attend. Her standard responses would not apply here. For a well-educated and well-spoken person, Sarah was at a loss. She, truly, did not know what to say. So she poured her love, comfort and concern into the little cakes. She hoped that showing up, and the care that went into the baking of them would make a difference. 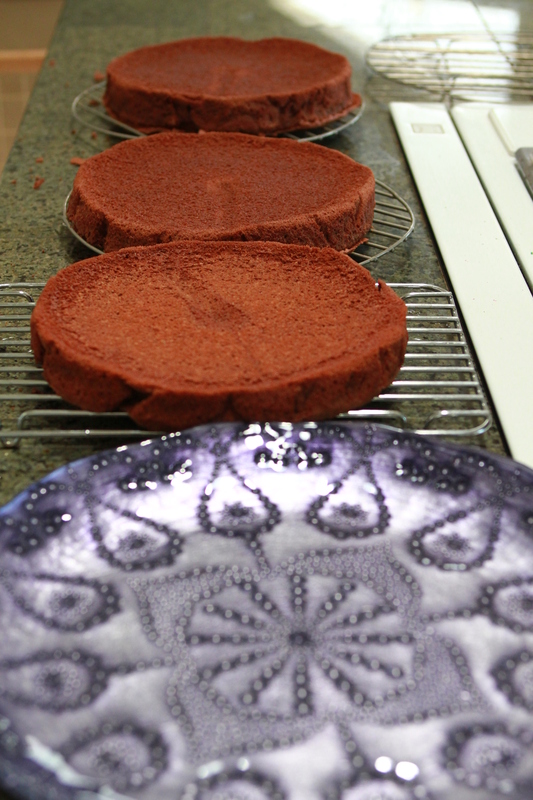 Three 8″ round cake pans lined with wax paper. Whip the egg whites and set aside. Beat egg yolks set aside. Have the sugar and flour measured and standing by in their measuring cups. Break up chocolate bars into small pieces. On low heat, melt chocolate and butter. Constantly stir with wire whisk until everything is melted and smooth. Immediately remove from heat. Pour chocolate / butter mixture into a large bowl. Slowly stir in egg yolks till completely mixed. Add sugar in the same manner followed by the flour. Once this is completely blended, add half of the whipped egg whites. Gently fold this in until thoroughly mixed. Repeat with remaining egg whites. Pour batter into wax paper lined pans. Trim wax paper excess (otherwise it will smoke inside the oven). 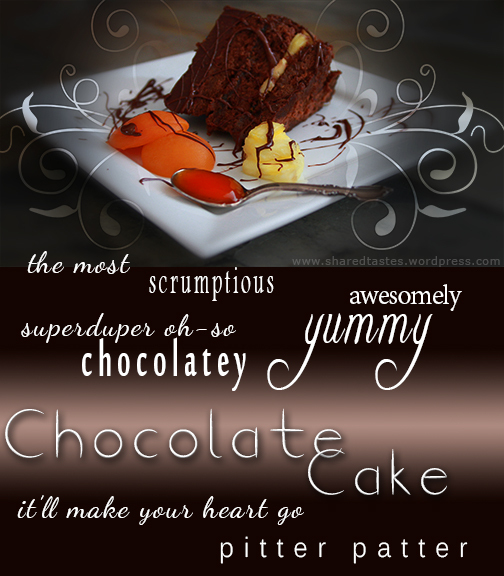 **the toothpick doneness method does not work with this cake. Remove cakes from oven and let cool until the centers appear to sink. (This is normal….the sink holes are a perfect place to fill with wonderful things…) While still warm, flip them over onto a wire rack. Gently pull away the wax paper. Place first layer of cake on a decorative dish. Gently spread fruit (jam or pie filling) evenly over the top leaving enough space around the edges so it won’t squeeze out when the next layer is put on. [On the cake pictured above, I put fresh pineapple slices on the bottom layer only.] Repeat with cake and jam layering leaving the top of the cake jam / fruit free. 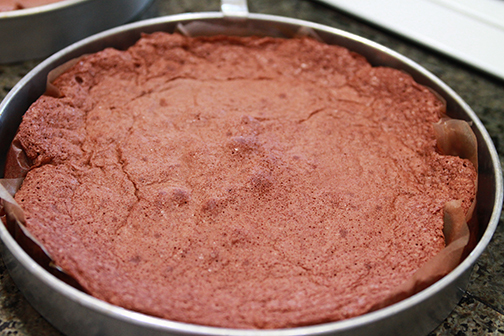 Once the cake has been assembled, gently trim any jaggedy edges with a large serrated knife.